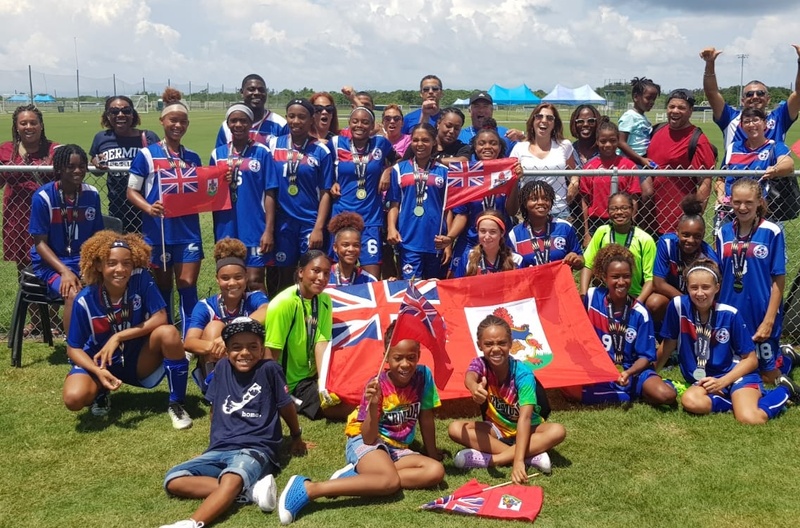 Bermuda’s Women’s Under 15 National team will feature in the CONCACAF Under 15 Girls Championship Division Two Final following their 1 – 0 win over St. Lucia in their Semi-Final match at IMG Academy, Bradenton, Florida. On the stroke of half time a ball forward from Emily Cabral found Adia Gibbons who right footed shot from the edge of the box went in under the Grenada goalkeeper, with Bermuda taking that lead to the break. Grenada would equalize in the 48th minute when a corner found Nya Hood player who redirected the ball into the net, but nine minutes later Cabral gave a give and go with Gibbons and fired a right footed shot that gave the Grenada goalkeeper no chance.